Azadeh joined our firm in January 2018 after completing her law degree at Thompson Rivers University (TRU) in 2017. 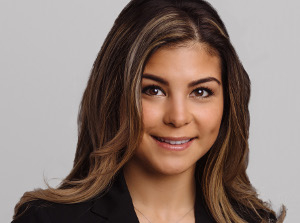 Prior to attending law school, Azadeh earned her Bachelor of Arts degree, majoring in Psychology with a minor in Commerce, from University of British Columbia (UBC). She has volunteered for many non-profit organizations, including for the Alzheimer’s Society and the Law Students Legal Advice Program at UBC. After completing her law degree, Azadeh backpacked through Europe, making her way from Barcelona, Spain to Santorini, Greece, devouring pastries and gelato along the way. When Azadeh is not in the office, she enjoys being outdoors, playing soccer, traveling, eating and spending time with friends and family.